The S&P 500 lost more than 50% of its value during the Great Financial Crisis. Stocks bottomed on March 6, 2009 and put in their lowest close just three days later. 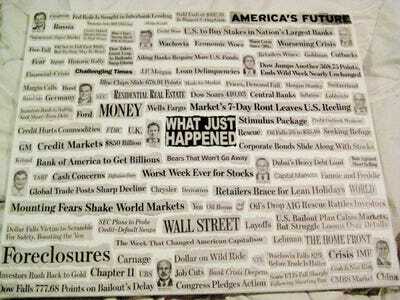 Check out some of the headlines from the crisis. 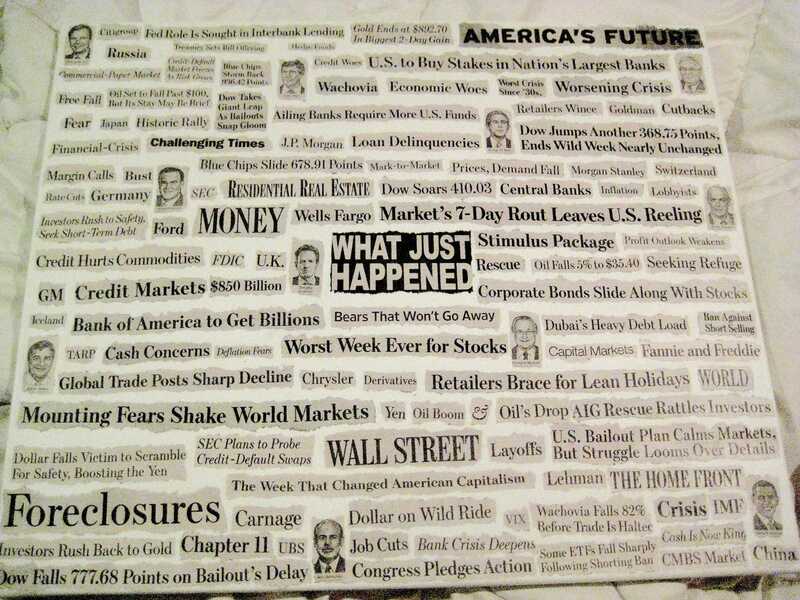 The S&P 500 crashed more than 50% during the 2008/2009 Great Financial Crisis. Tuesday, March 6, marks the nine-year anniversary of the S&P 500’s post-financial crisis intraday low of 666. The index put in its closing low of 676.63 three days later, on March 9. Since then, the S&P 500 has recovered all of its losses from the financial crisis, and then some. The nine-year rally is the second-longest bull market of all-time, and has tacked on as much as 331%, rallying to a record high of 2,872.87 on January 26, 2018. The canvas pictured above serves as a reminder of just how scary and confusing the times were as the world became familiar with terms like mortgage-backed securities and derivatives.